Our newsletters provide a great opportunity to share your project success stories and company news to engaged specifiers, and attract them to your profile. We send out two newsletters every week to an audience made up of construction industry professionals. 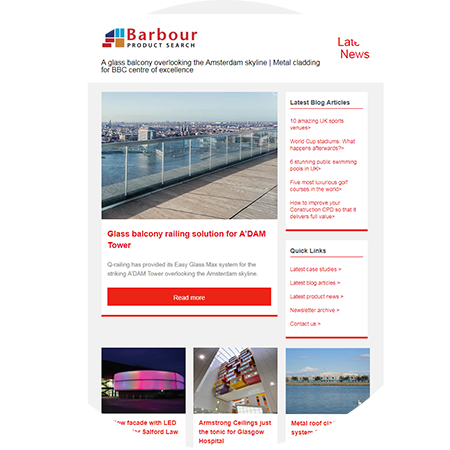 If you have a story that stands out, or something you want to let the world know about, our newsletters can help to educate specifiers and architects. Learn how Barbour Product Search can help share your key messages with architects and specifiers.